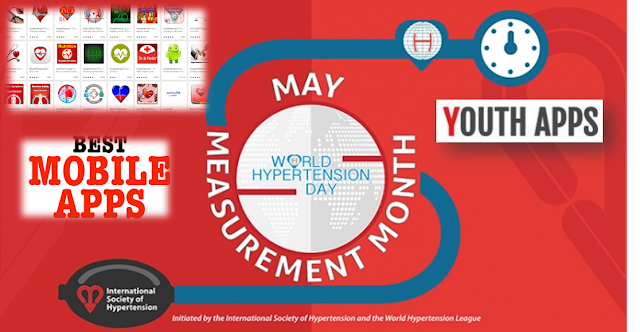 World Hypertension Day – Mobile Apps to help us get over this worry. Research says using mobile phone is also cause of Hypertension as it build up the anxiety in a person and this device keep us in “ALWAYS ON” mode. Heavy usage of mobile phone will lead to problems and I am not speaking about the radiation but the time getting occupied on the phone. So, this World Hypertension Day let’s look at few more apps which help us to relax yourself and also get a good understanding of Hypertension. We list the Hypertension Mobile apps which is currently available in the market. EPage, Inc. :- The app description in Google Play read as, Blood Pressure DiaryEPage, Inc. Conclusion, Your body’s health is in our hands and our actions determine the outcome. So, you know it better on how to get fit and overcome the Hypertension.